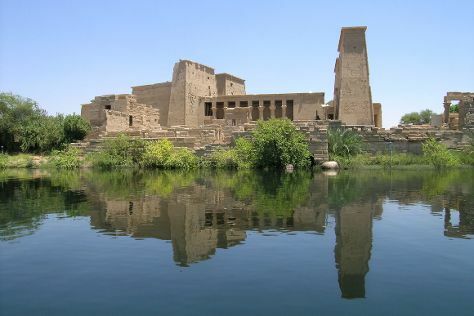 Step out of Aswan with an excursion to Temple of Kom Ombo in Kom Ombo--about 1h 05 min away. Next up on the itinerary: explore the ancient world of Philae Temple, step off the mainland to explore Elephantine Island, admire the engineering at High Dam, and examine the collection at Animalia. For more things to do, ratings, maps, and more tourist information, refer to the Aswan online day trip planner . Cairo to Aswan is an approximately 3.5-hour flight. You can also drive; or take a train. Plan for a bit warmer temperatures traveling from Cairo in April, with highs in Aswan at 42°C and lows at 24°C. Finish your sightseeing early on the 20th (Sat) so you can drive to Luxor. Luxor is known for historic sites, museums, shopping, parks, and adventure. 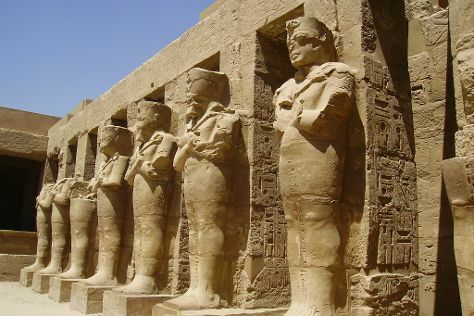 Your plan includes some of its best attractions: delve into the distant past at Temple of Karnak, appreciate the history behind Luxor Temple, take an in-depth tour of Luxor Museum, and soar above the sights with a balloon tour. To see where to stay, photos, ratings, and tourist information, read our Luxor travel planning app . You can drive from Aswan to Luxor in 3.5 hours. Alternatively, you can take a train. In April, daily temperatures in Luxor can reach 41°C, while at night they dip to 21°C. Cap off your sightseeing on the 25th (Thu) early enough to travel back home.